With the chill of winter sending shivers down our spines, we could all use a little more sunshine and if it comes in the form of whisky, so be it! Balcones Distilling, the award-winning craft distillery in Waco, Texas, has been one of The Wine Chef's favorite whisky producers for several years now. Started in 2008 by Chip Tate, the distillery was built by hand with only a few tools, the help of some friends and a dream to make legendary artisanal whisky. The Baby Blue, made from roasted blue corn, has the honor of being the first legal Texas whisky since the end of Prohibition. In 2016, Balcones was named Best Craft Whiskey Distillery by the readers of USA Today. The folks at Balcones Distillery were happy to share some of their favorite whisky cocktails to help keep us warm until the daffodils and tulips begin to bloom. As you sip these warming concoctions, I think you'll be in agreement with Mr. Shaw. Cheers! Honey highlights the richness of the Rumble whisky in this cocktail and helps to bring out the fig, plum, nectarine and grapefruit notes. The bubbles add a refreshing effervescent quality. Shake and strain first four ingredients together and serve in a champagne flute or martini glass. Top with your favorite sparkling wine. This drink highlights the orange citrus flavors found in the Texas Single Malt. Stir and strain above ingredients and serve up or on the rocks. Garnish with an orange slice or twist. The Chai syrup provides a very pleasant, earthy base note to this drink. The dilution of the Brimstone helps to dial back the smoke element of the whisky and brings out more of the sweet characteristics in the spirit. Leaving the infusion longer will result in a deeper chai flavor. Stir and serve over the rocks. 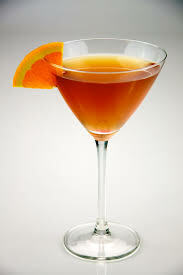 Garnish with an orange slice or twist. Bring the water to a boil and remove from heat. Add 6 chai tea bags and infuse for approximately 15 minutes, or longer for a deeper chai flavor. Add sugar and stir until dissolved. This recipe was given to me by a friend who makes a pitcher of it to keep handy in the fridge all week long! The addition of blood orange juice is a fresh spin on a classic cocktail. Combine whiskey, amaro, aperol, lemon and blood orange juices in a cocktail shaker. Fill with ice and shake vigorously until outside of shaker is frosty, about 20 seconds. 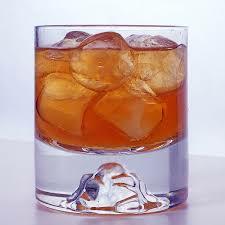 Strain into 2 glasses and serve straight up or on the rocks. Or, to make a 30 ounce pitcher, multiply the ingredients by 4. Stir and pour into glasses, with our without ice.